Meet Bruno, 1 year old Male Terrier, Pit Bull/Mix at Rochester Animal Services. Bruno seems like his been through some tough times already in his young life. Despite his history, he is a very nice and gentle boy. He's easy to walk on a leash and appears house trained. 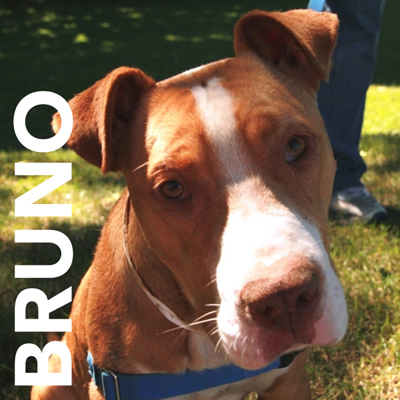 Bruno is very happy, relaxed and has an appropriate greeting style playing with other shelter dogs in the play group. He is a smart guy and a nice size that he could fit into any family nicely. Stop down and pay this nice dog a visit, he could be the new friend you've been looking for. Take the time to meet this guy; he is a really nice dog. 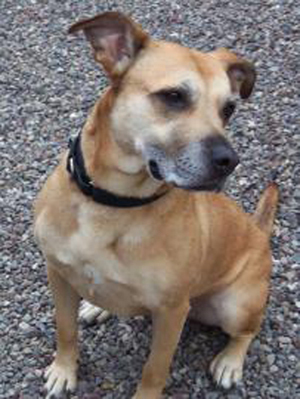 If you would like to foster Bruno, please contact Ginny at 585-355-7203.